Lake Bled is one of those places that you visit and wonder, “how long have I been walking around with my eyes wide open and my jaw on the ground?” It’s simply stunning, or at least during the summer when we were there. We visited the picturesque lake with its backdrop of stark mountains and hillsides dotted with castles and red-roofed buildings. A bit of a contrast from Ljubljana, Slovenia where we were staying, although that Balkan city certainly had a lot of appeal of its own. Ljubljana has been the capital of Slovenia since it gained its independence in 1991. A visit to this beautiful city in the summer time is rewarded by countless opportunities to dine along the riverfront. There is plenty to do including visiting the hilltop castle, shopping along its narrow streets and enjoying the architecture. 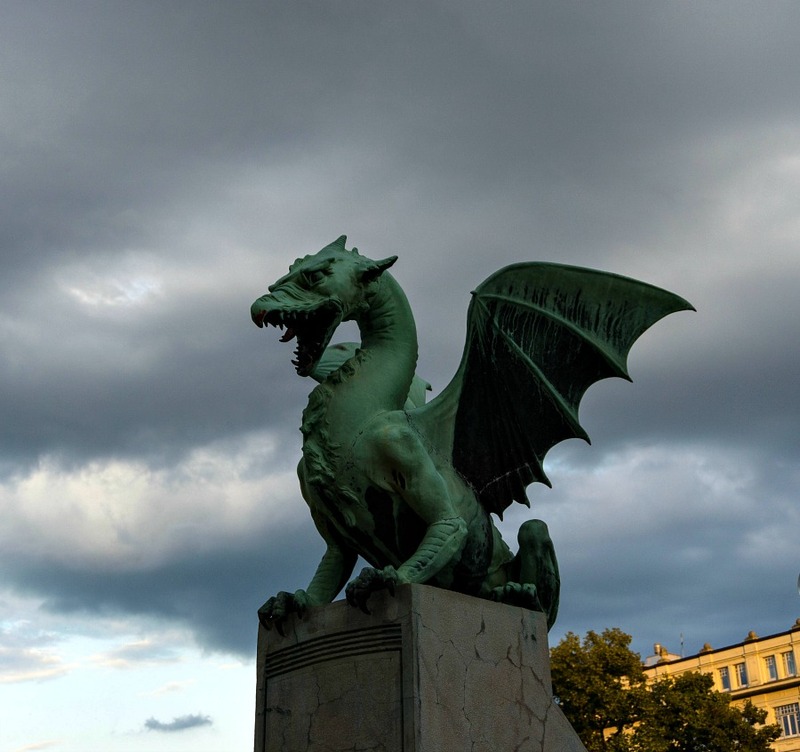 And no one leaves without grabbing a photo of one of the four iron dragons that adorn Ljubljana’s bridge. 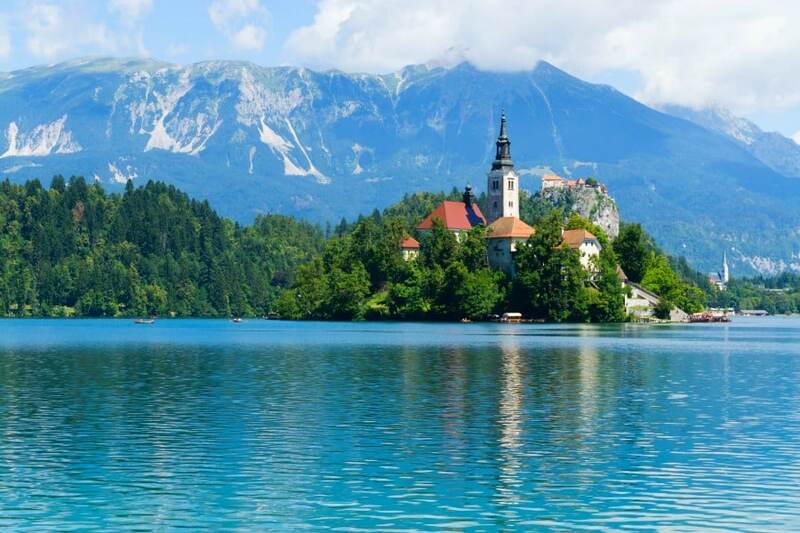 But one of the best things about visiting this historic center is its proximity to Bled Lake. 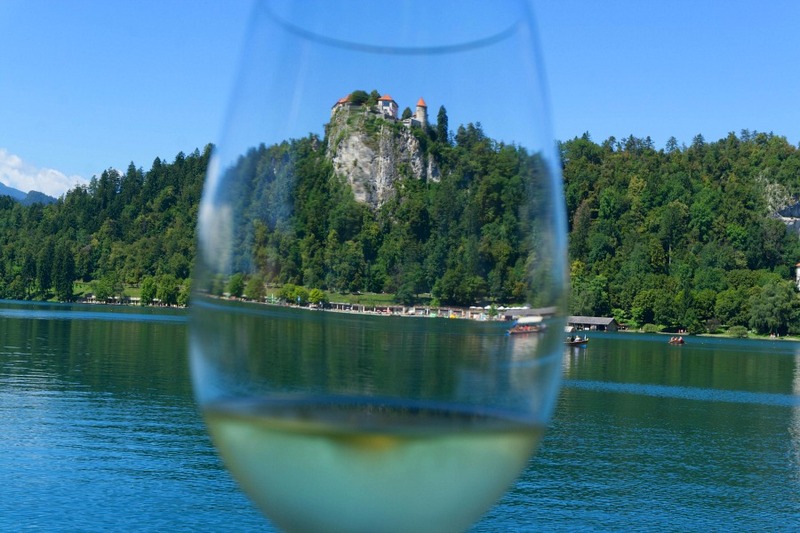 There, you may just get the best photos and memories of your visit to Slovenia. 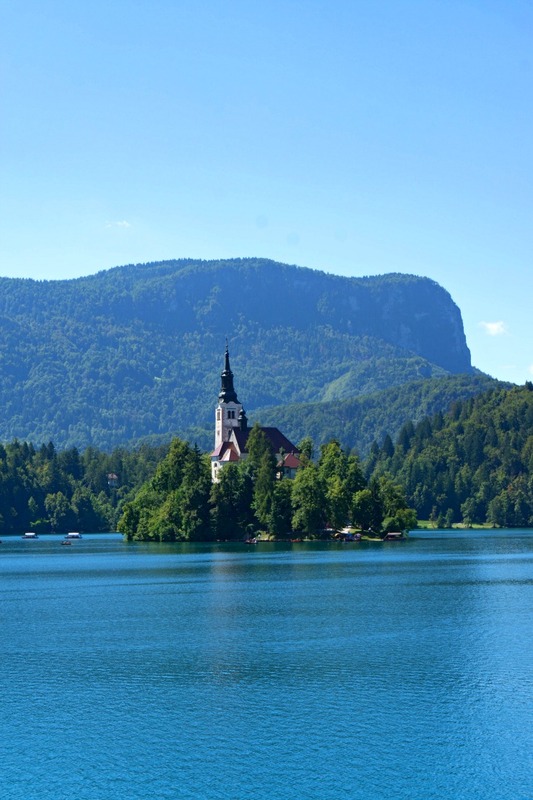 It’s easiest to make the day trip to Bled Lake via bus, which takes about an hour. If you do decide to just do a day trip, don’t bother purchasing a round trip ticket. There are several companies that travel this route and it can save you some money and buy you some flexibility. Along the way the road passes through farmlands filled with grape vines and corn, with glimpses of small hill top towns along the way. And then as you travel closer to the center of town, this sight of steeples appear. 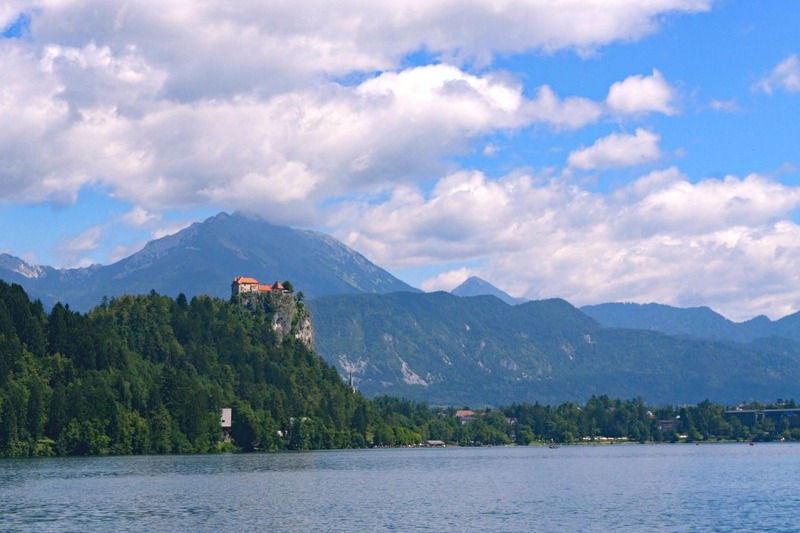 Lake Bled is an understandably popular destination for locals and tourists. While you won’t escape the crowds coming in from waves of tour buses, the good thing is that most of them stay for a brief visit before moving along. We decided to take a full hike around the lake. And found that unlike most of us, Lake Bled looks good from all angles. The entire walk takes about an hour and 15 minutes. The route consists of paved roads, some dirt paths and wooden walkways and is generally flat. From the center of town make your way down the road to the shore. 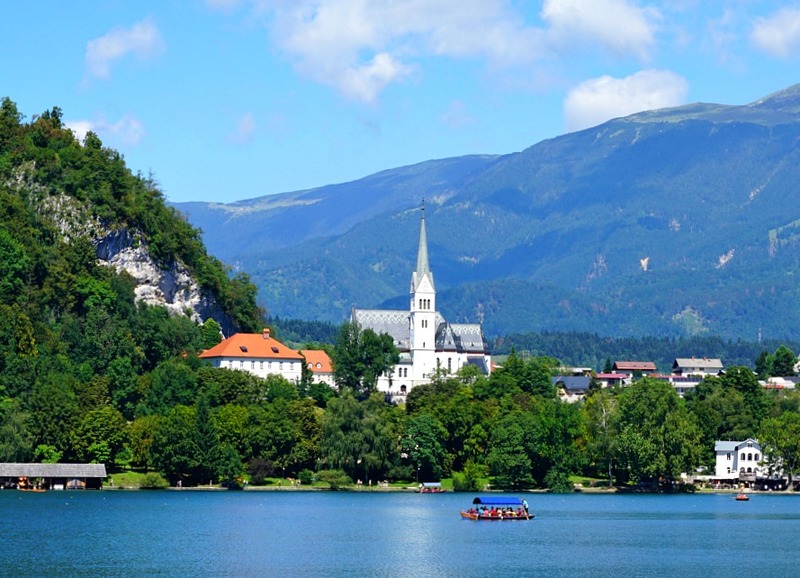 Across the lake is a stunning view of Bled Island, crowned by the red-roofed Church of the Assumption. There are plenty of boats with captains that will offer to take you over for a closer look if you can’t resist the urge to get a peek inside. And while you won’t escape the crowds here, keep walking along the path that surrounds the lake. There are many serene places to stop and take in a large dose of Balkan charm. Or even get a little romantic and rent a row-boat for a picnic on the water (which we didn’t do – why didn’t we do that?). There are a few spots along the way where you can stop and feed the ducks and swans. Or join the many people who have dipped in a fishing line while enjoying a beer in the shade. About half way around the lake is a nice view of Bled Castle. The medieval castle is actually the oldest in Slovenia, with mentions of it as early as 1011 AD. 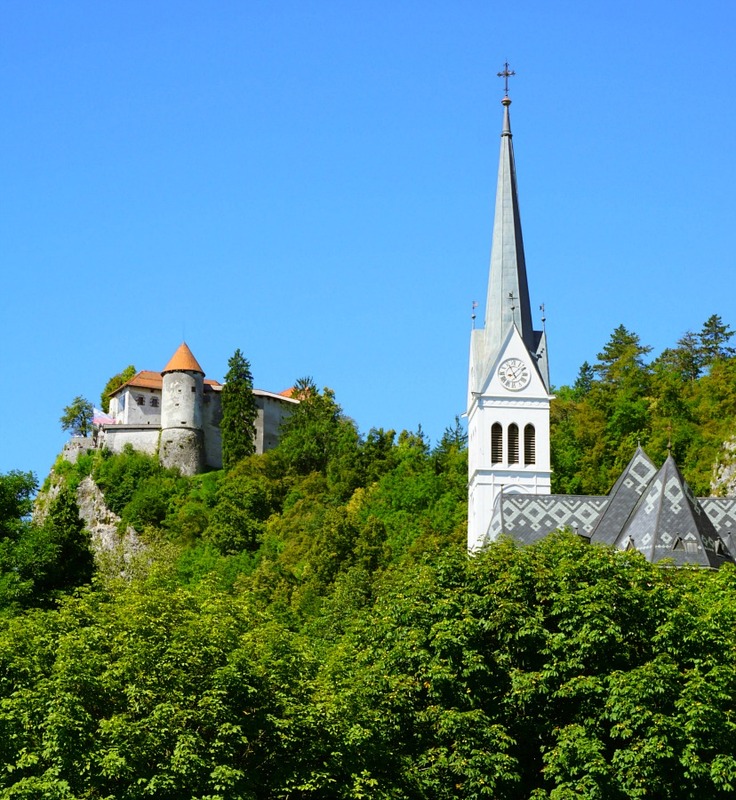 It is open to the public and is one of the most visited attraction in Slovenia. Which is part of the reason we decided to skip it during this visit. Seeing the dramatic view of it perched on the cliff above the lake was the perfect vantage point for us. 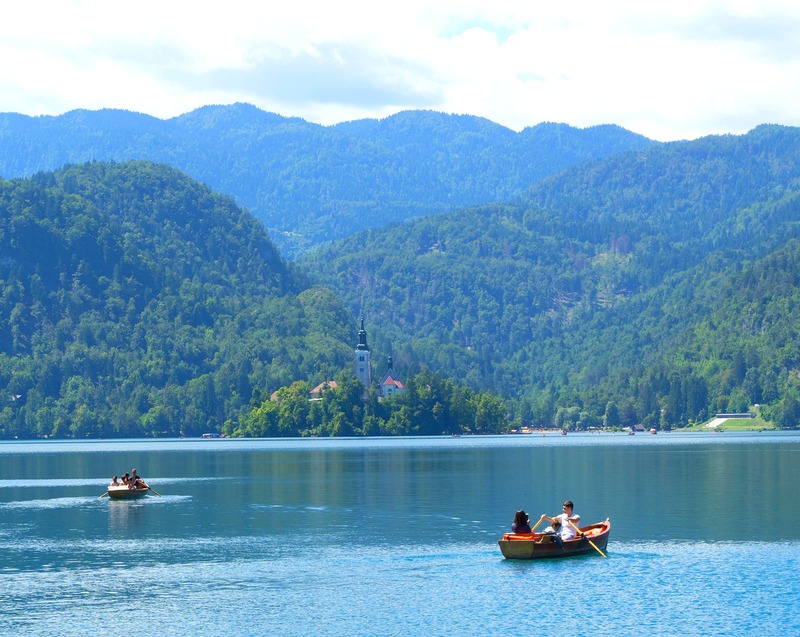 One of the reasons Lake Bled remains so pristine, despite its popularity, is that motorized boats aren’t allowed. You are welcome to kayak, paddle board or swim around the lake. Or, you can jump on a pletna (wooden boat) captained by a strong backed oarsman. They will bring you around the lake for about 15 EU per person for three hours. That sounded like a bargain after watching these guys stroke in the heat with a boat full of passengers. And speaking of not resisting temptation, many actually travel to the area with the specific intention of trying the famed cream cake. 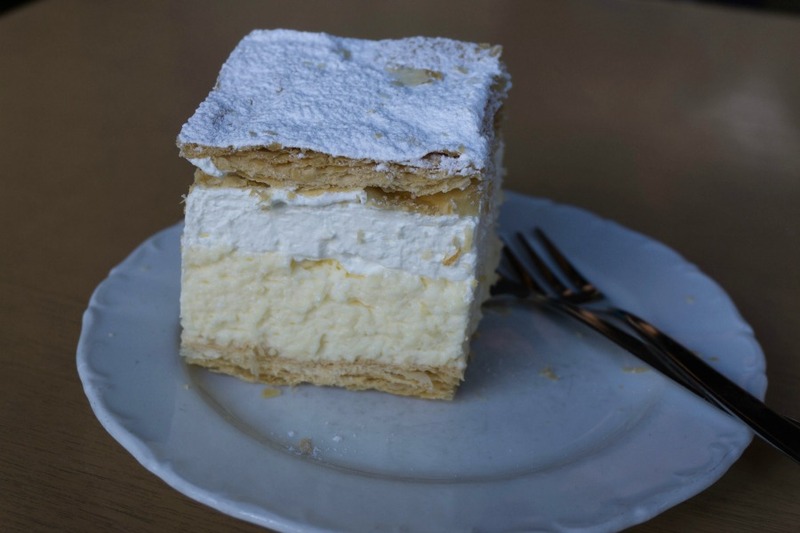 The Bled Cream Cake, or Blejska kremna rezina, has a flaky crush, a light custard base and a thick layer of cream. So while you just happen to be around, don’t you think it would be a shame to leave without trying some too? There are plenty of other things to do in the area, including more hiking and water sports. There is an option for every level of accommodation from camping to some nice hotels. If you decide to stay over you can enjoy a view of the lake lit up at night. Or enjoy a peaceful walk in the morning mist. Which is exactly what I plan to do – next time. Just 4 km away from Bled is another eye-popping place, Vintgar Gorge. 1.6 km of boardwalk alongside and above a fast flowing narrow river, with rapids, emerald-green pools, sheer rock walls on both side and plenty of trout, birds, dragonflies etc. Wow, that sounds incredible. I’m sorry we missed it – definitely a stop for next time! Thanks for the recommendation. Seconding Vintgar – it’s breathtakingly beautiful (like most of Slovenia). Also not far from Bled is Bohinj – Slovenia’s largest lake, and, IMO, a much nicer one. And close to that is Slap Savica (slap = waterfall), which demands a 20-minute walk via steps cut into the side of the hill. The waterfall itself is lovely but for me, the best part is the walk up to it, and the views of the surrounding hills and mountains once you get up there. Regarding Bled, I prefer it in winter – almost no tourists, and when the mist comes down, very ethereal.